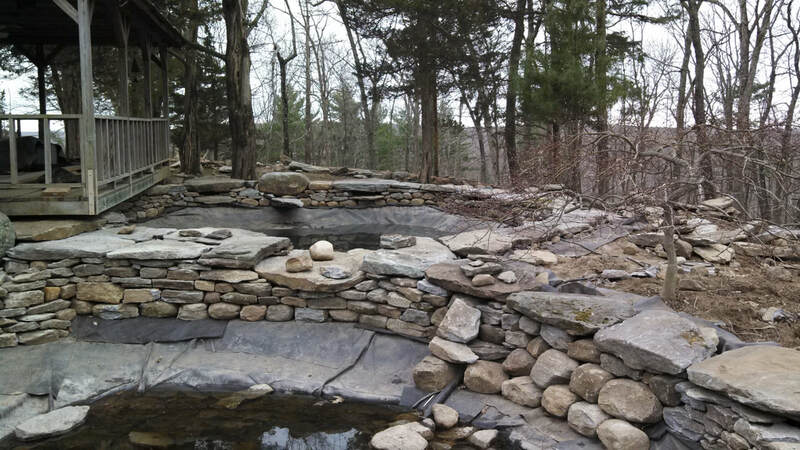 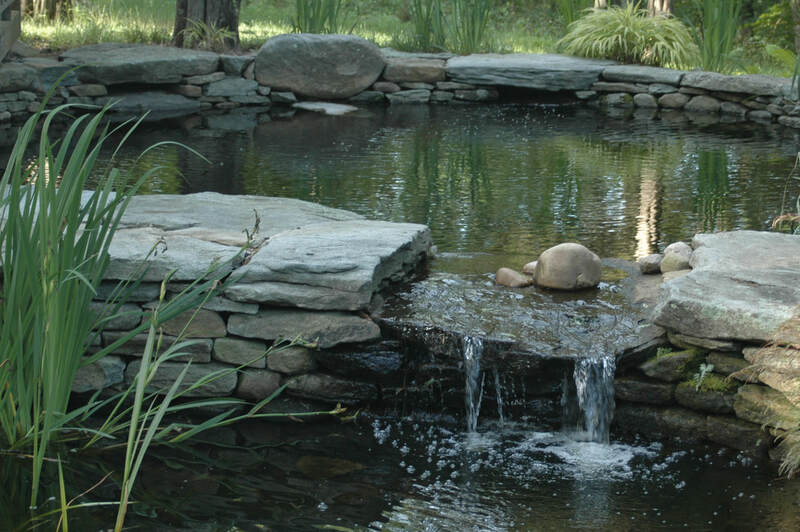 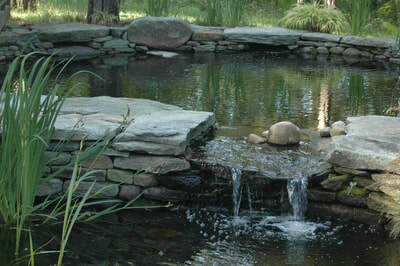 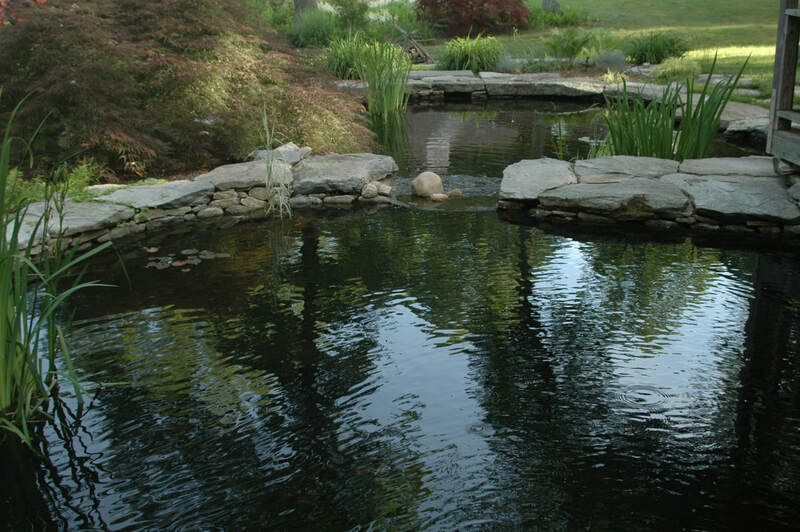 By using the existing topography, we were able to create this split level pond. 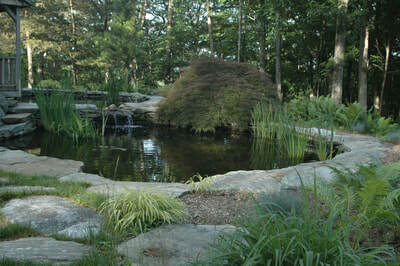 The large flat stones surrounding the two ponds, where shaped by hand, to give pedestrian access to the waters edge. 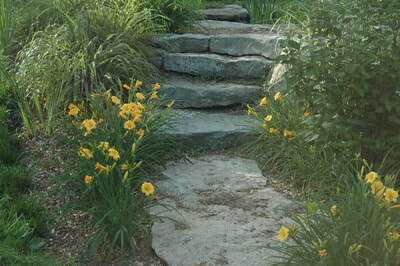 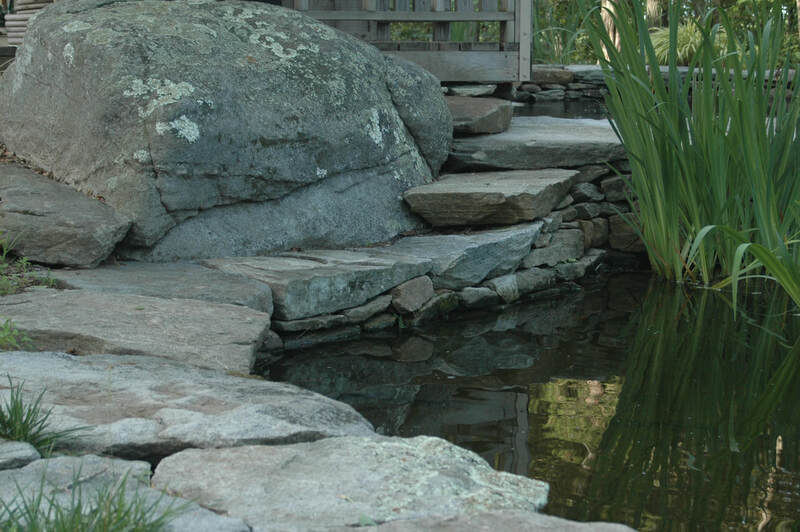 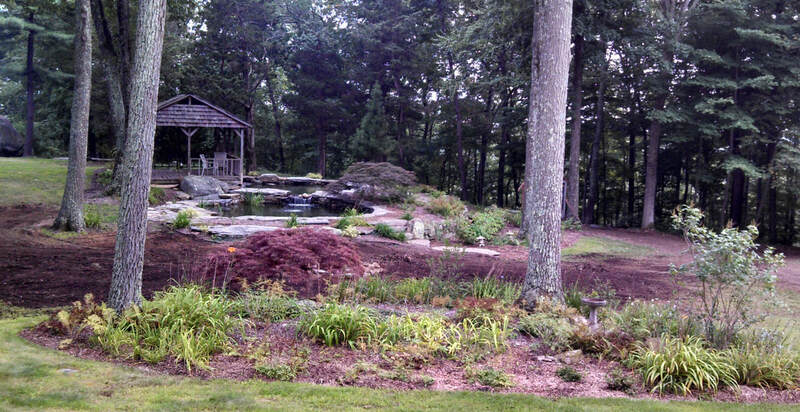 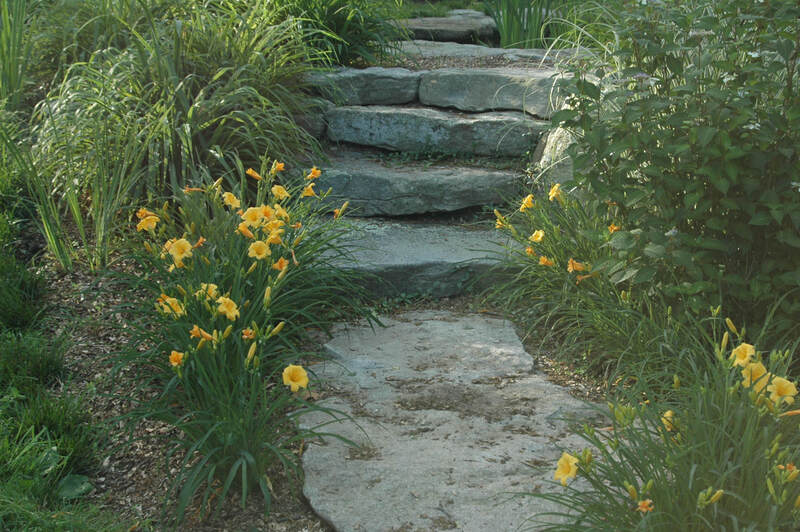 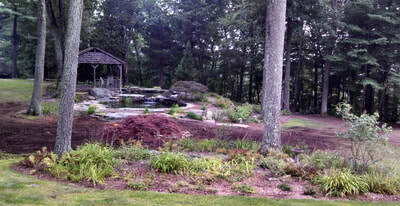 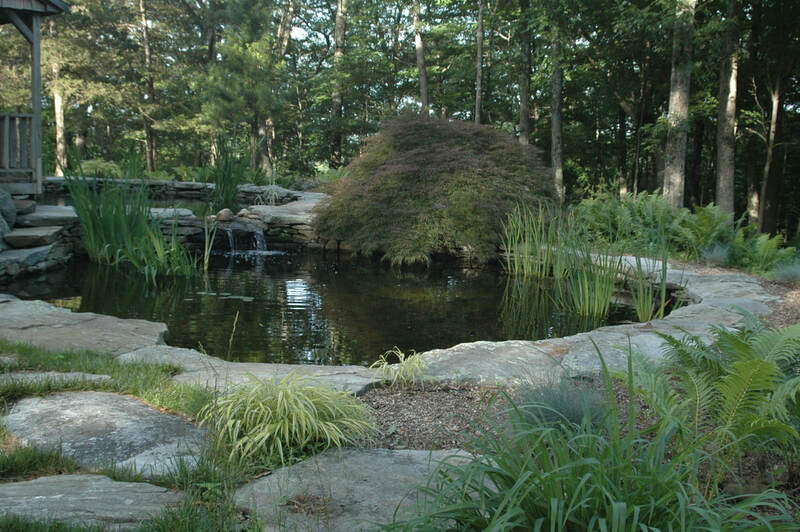 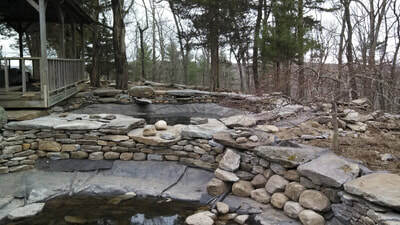 The steps, make the large boulder an integral part of the design, and continue the path around the pond. The height of the counterbalanced dagger shaped rock was perfectly at water surface level.